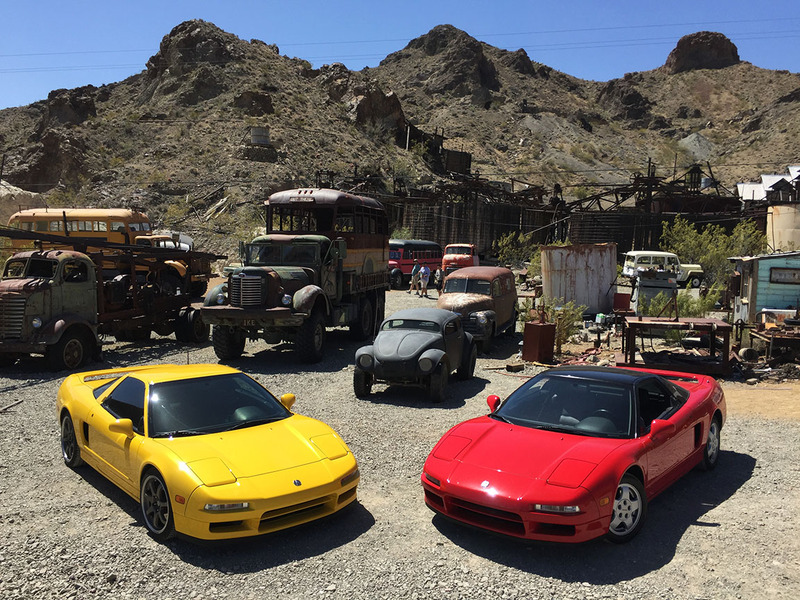 As if Las Vegas weren’t full of enough glitz and glamour already, the Acura NSX Club of America added some eye candy to the mix this weekend with a few aluminum-constructed sportscars in vivid colors like Spa Yellow, Long Beach Blue, and Midnight Purple. 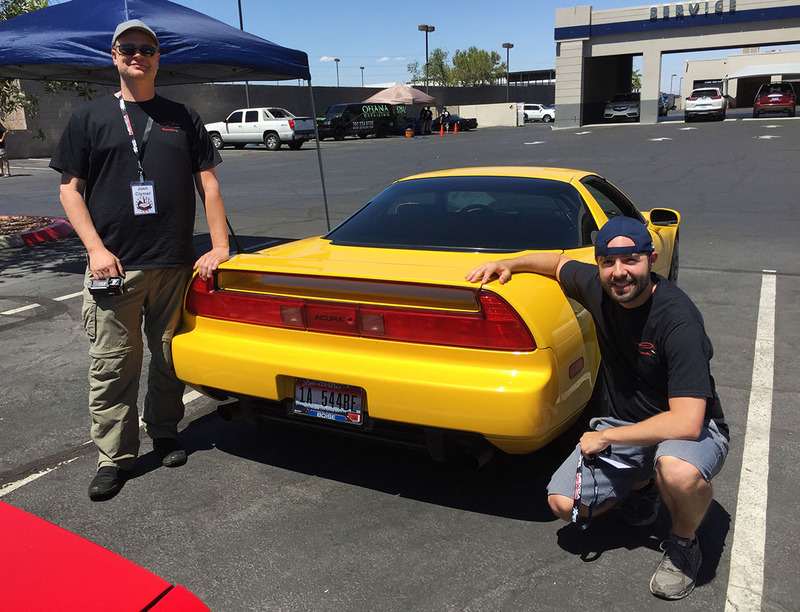 Launched last year as the club’s inaugural signature event for the Southwest Region chapter, round 2 brought out over 45 cars and 65 attendees to Sin City. And everyone had a pretty wicked good time. 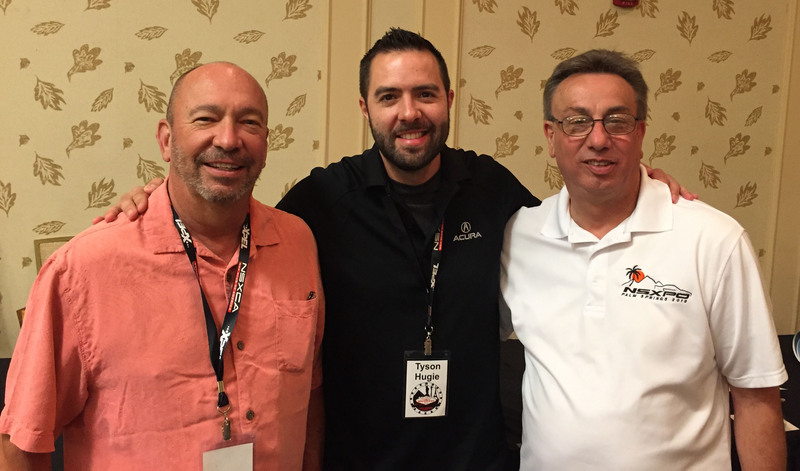 The event kicked off with check-in & registration on Thursday evening at the Gold Coast Casino on Flamingo Road. Its selection was a strategic decision on behalf of the planning committee in the interest of keeping four-dozen cars away from the Strip. Can you imagine trying to execute a group drive in any formal fashion while dealing with Strip stop-and-go? That might have been chaotic. 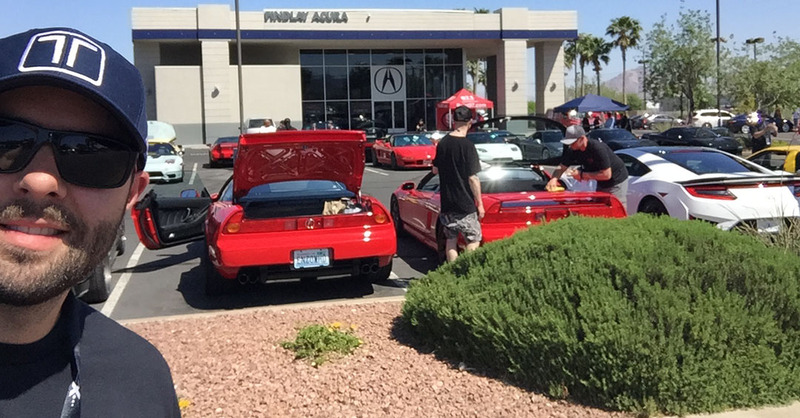 On Friday, Findlay Acura in Henderson hosted our group for a half day. There was car show voting, music, a food truck, giveaways, and a photoshoot. Findlay always rolls out the red carpet for us. Those who wanted to hit the go-kart track at Gene Woods Racing in the afternoon did so, followed by an open night. 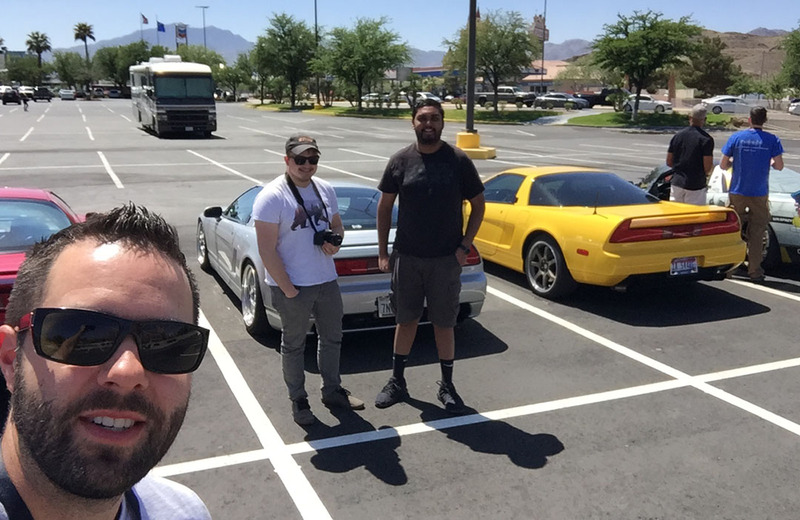 I took the opportunity to catch up with a couple of local friends as well as hang out with Josh of NSX Experiment who’d driven down from Boise. 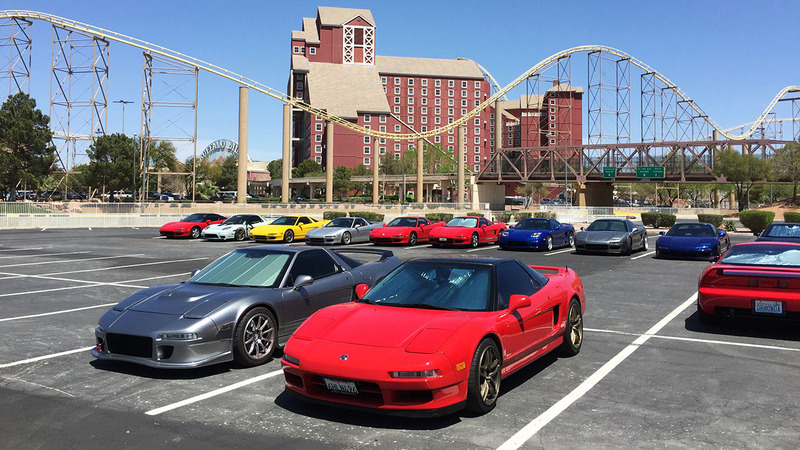 No multi-day car club event is complete without a driving portion, and that was reserved for Saturday. 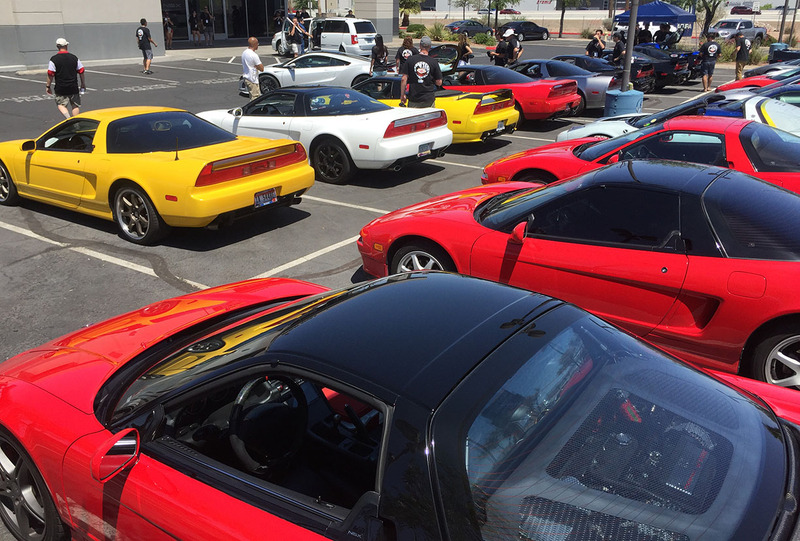 But first, we invaded the cars & coffee meet-up at SpeedVegas off Exit 25 on Interstate 15. 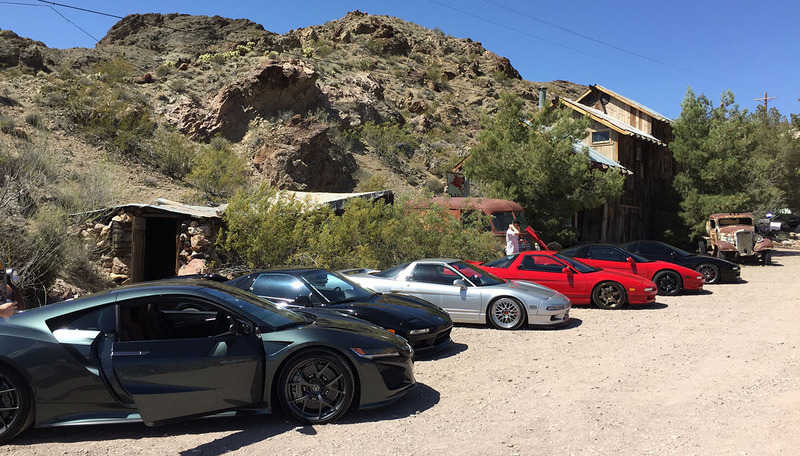 SpeedVegas is a facility that offers exotic car track sessions, but it also opens up its parking lot every Saturday morning for anyone and everyone. And in this case, they even let our group take a few parade laps (at about 25-35 miles per hour only, though). Still it was a pretty nifty sight to see that many cars lined up and making the rounds. 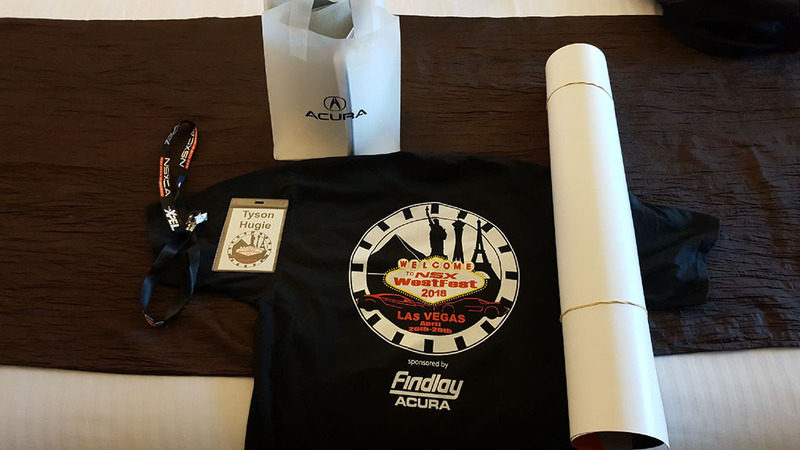 The rest of the day was spent battling the desert heat and attempting to keep the group together (it was futile, in the end) while we took a 180-mile scenic loop to the old mining town of Nelson followed by lunch at the Primm Valley Casino near the California – Nevada state line. My poor passenger Brandon probably heard a few curse words as I was being summoned by phone call, text, and walkie talkie with individuals who needed help with directions – despite the fact that they’d been emailed out a week in advance, as well as distributed in hard copy at registration. 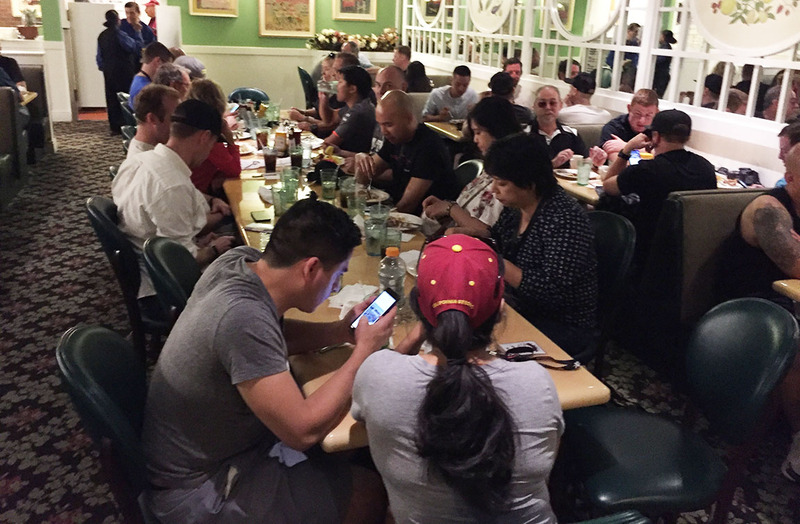 Navigation challenges aside, we had a great drive and pigged out at the buffet. Manager Robin even offered our group discounts on shopping at the nearby outlet mall. 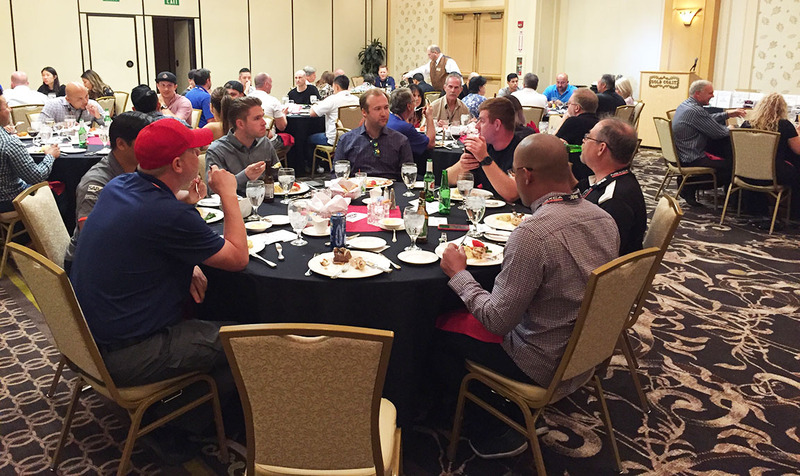 Our event capstone took place on Saturday evening back at the Gold Coast, where a banquet dinner was served up in Salon A and awards & prizes were distributed. 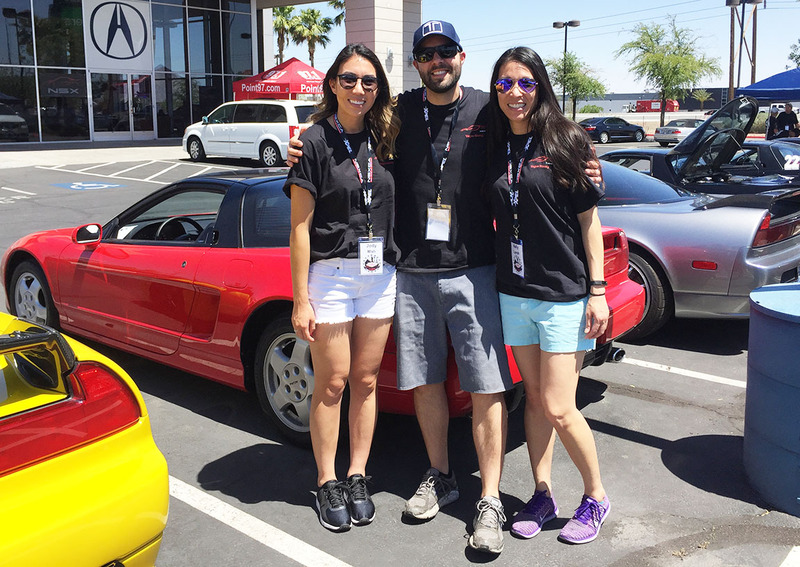 A few lucky club members got things like gift certificates to NSX performance vendors, signed model cars, posters, and other items. Probably very few went home empty-handed, which was thanks to the generosity of sponsors. 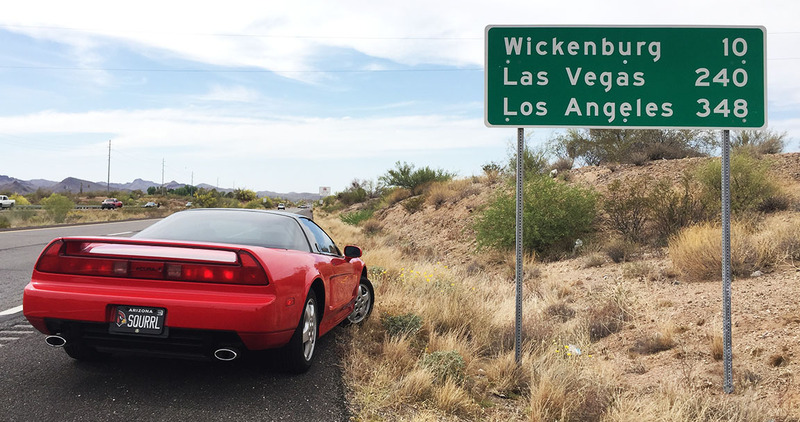 Thankfully, my NSX gave me zero trouble on the trip – this morning’s 4.5-hour return drive from Las Vegas to Phoenix was flawless, and I even had time to wash it down before stowing it away. Now after having lived out of a suitcase for a full week (work trip + NSX trip), I’m ready to get back to my routine. I don’t think I’ve ever been grateful to see the walls of my office cubicle, but I actually won’t mind it one bit this week. Here’s an 8-minute recap video and the rest of my photos! Headed out from Phoenix. 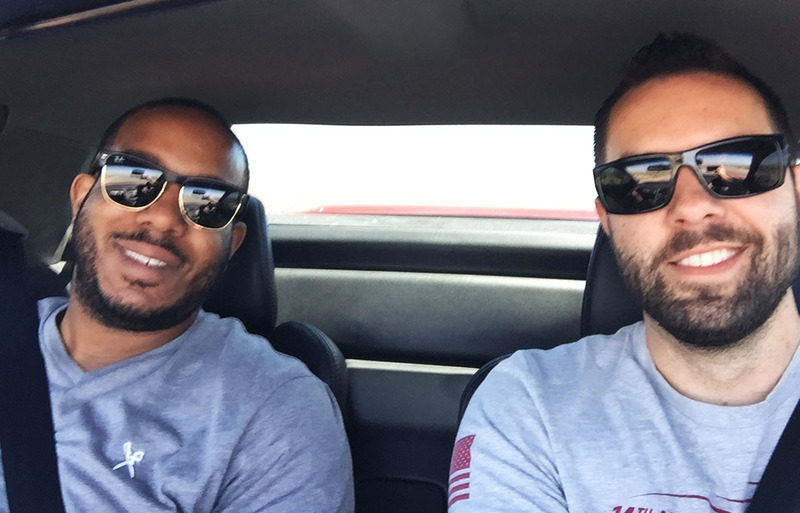 The total drive is about 300 miles each way. 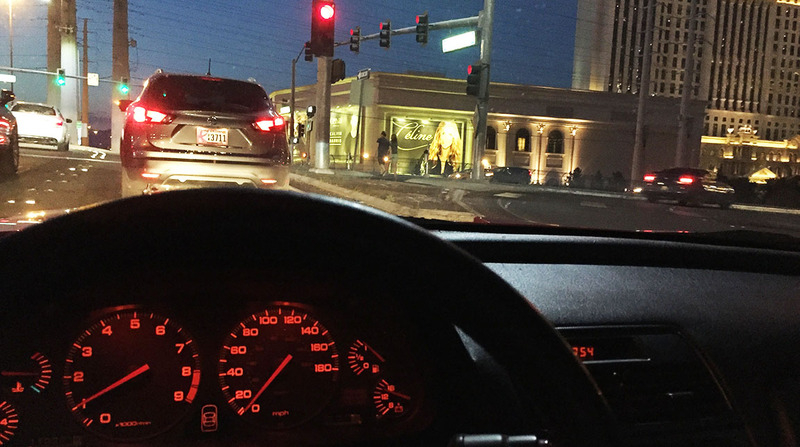 Arrival on Flamingo Road in Las Vegas, just off the Strip. 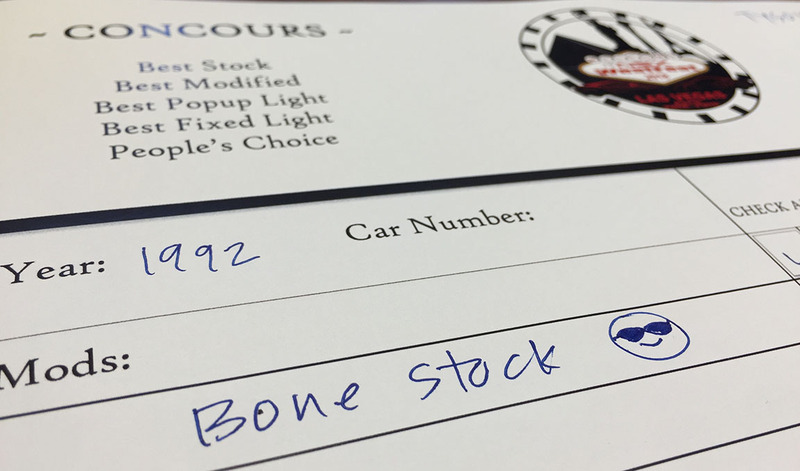 Car show registration. 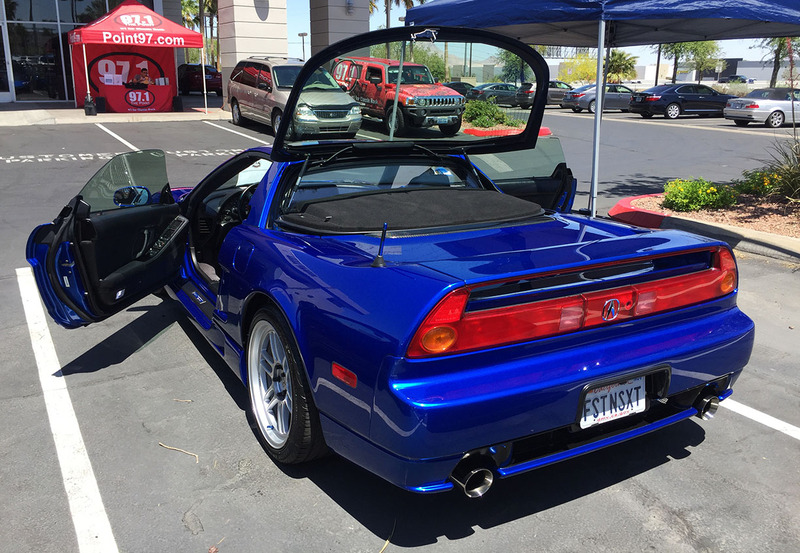 There was a section where people could list modifications. I have none! 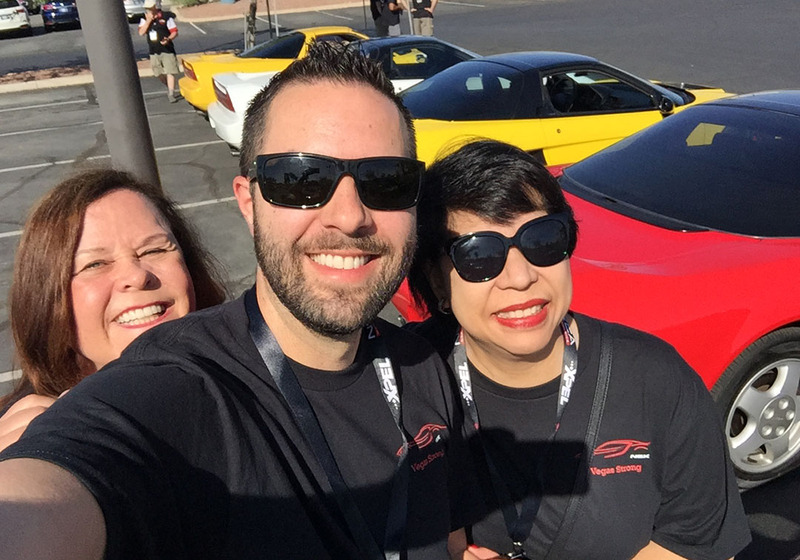 Jody and Kelly who work for Honda/Acura. There’s that Long Beach Blue! It’s a 2002-05 color. 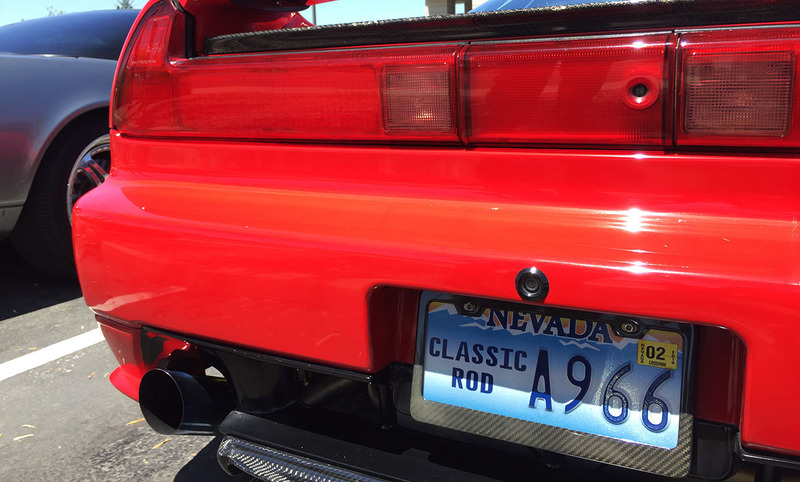 Love seeing an NSX with “Classic Rod” license plates. 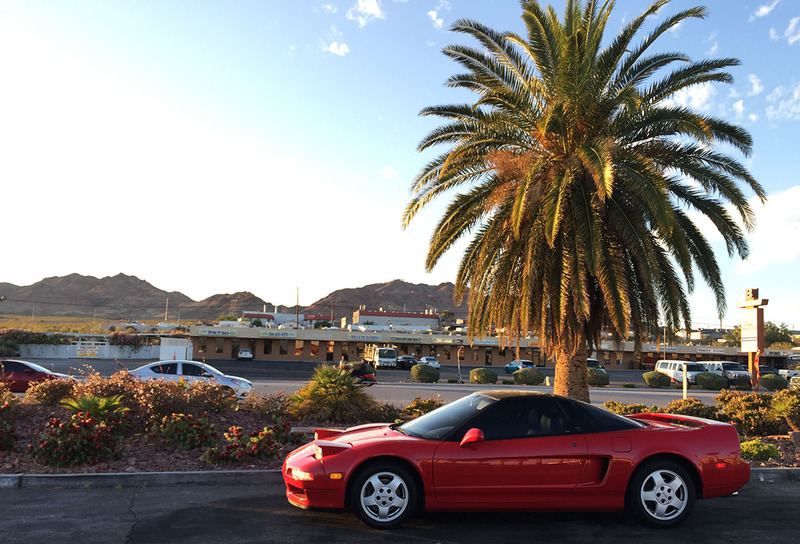 Josh let me drive his 2000 NSX to cars & coffee. It was a pretty different driving experience compared to what I’m used to: power steering, +20 hp, +1 gear, and a removable top! My friend Romeo from the Legend club came out to visit. A visit from Sunny & his friend from Salt Lake City who coincidentally were in the area. 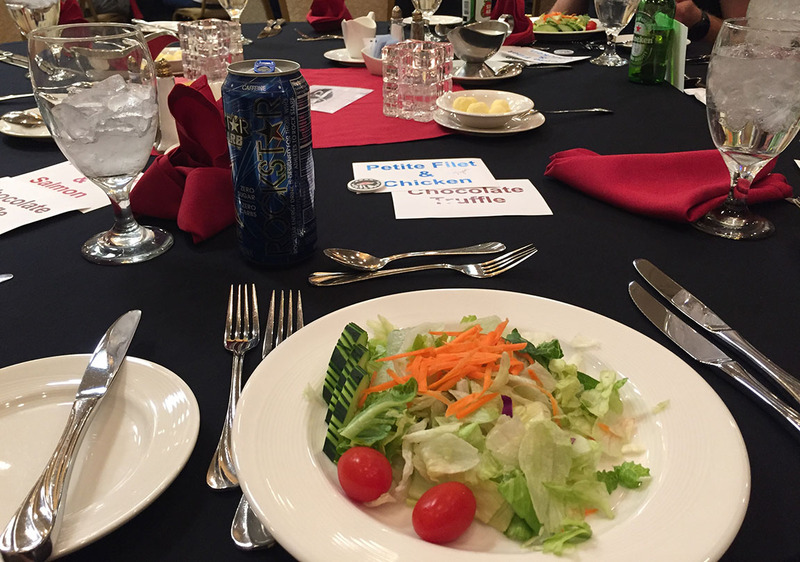 Banquet dinner time. I went with the petite filet and chicken. 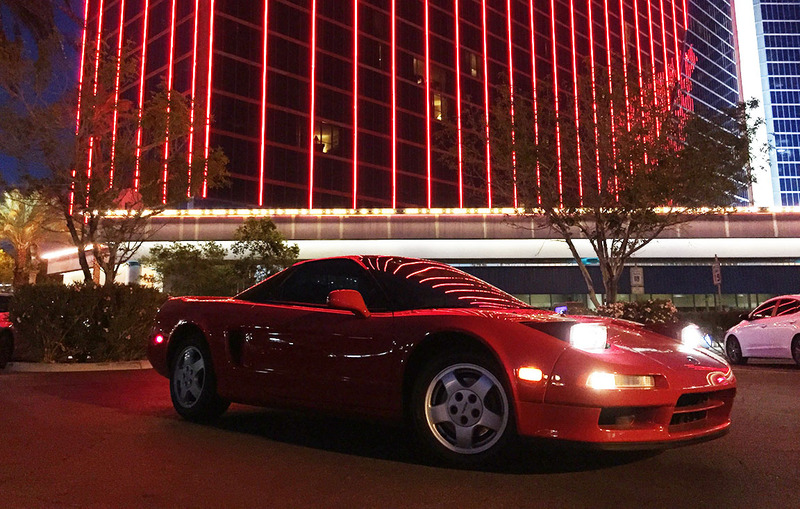 This entry was posted on April 29, 2018 at 8:51 pm and is filed under Nevada, NSX, Road Trip. You can follow any responses to this entry through the RSS 2.0 feed. You can leave a response, or trackback from your own site. Oh wow that must have been awesome!! How did the new tires in the back do? It sure was awesome! It’s tough coming back to reality. I forgot to mention my comments on the new tires. The car is really smooth! 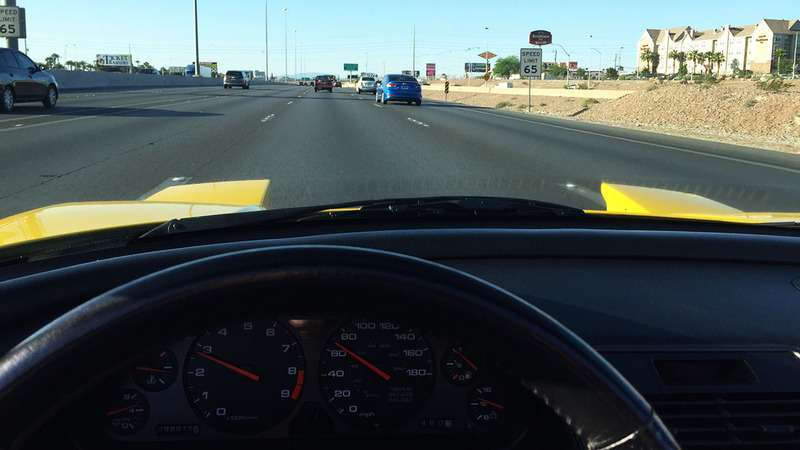 I especially notice a difference out on the freeway. From a handling perspective I didn’t really get to put them through their paces because most of our driving was in a straight line, but we’ll see how they fare on my next canyon run. Hope you enjoyed the weekend. Looks like a great event! And if I haven’t said it lately, the car looks correct with those wheels. 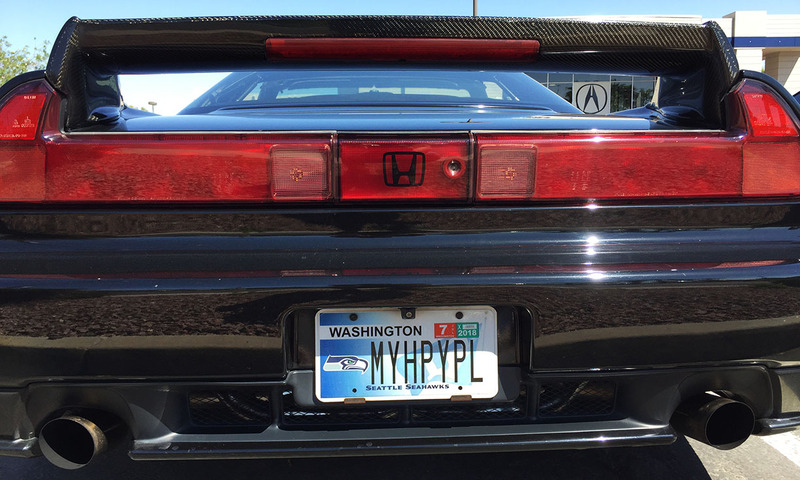 That’s how I remember the NSX from my childhood! There ya go! Set your mind on that and make it happen! That’s how I ended up snagging mine and I can’t believe it’s already been almost 7 years. Hope your weekend went well, Tim! Turn up the heat! Lots of hot cars in Vegas! It’s great that you can switch around the car you drive, nearly one for every day of the week (just like clean underwear, hopefully). It reminds me, also, of a box of chocolates; though each car has the same basic ingredients, the flavor of each one individually is so unique. Ride on! I like the chocolate analogy! Hope you had an enjoyable weekend with the grandkids! 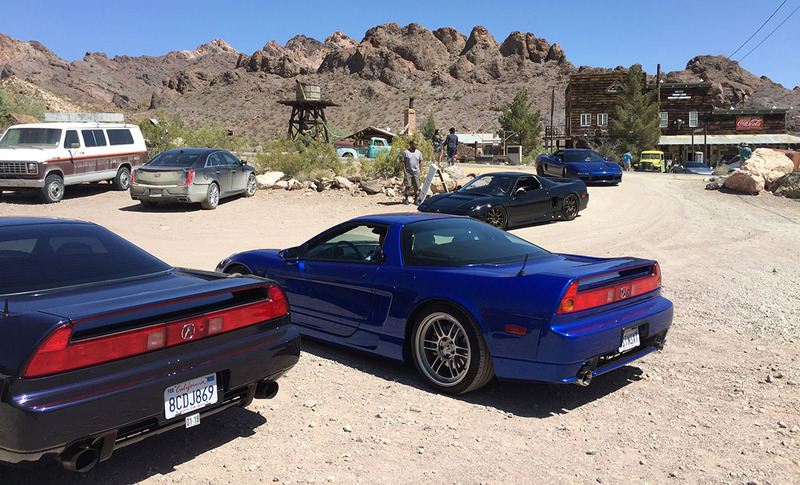 Always a treat to see pics of your NSX out and about (and now Josh’s too). 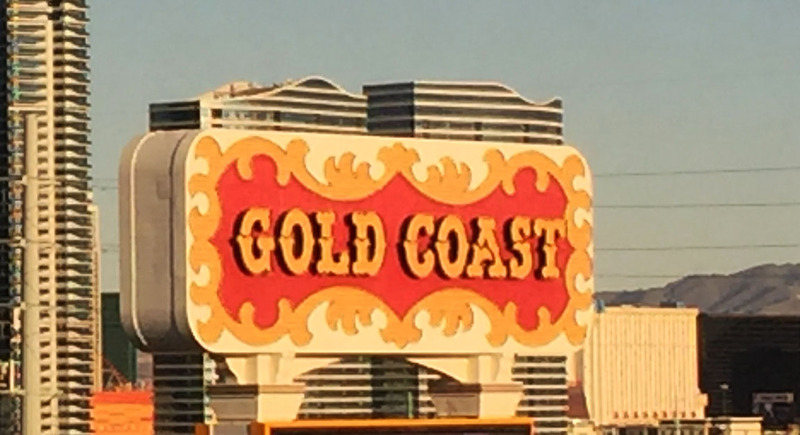 I’m sure this Vegas event was one to remember! Most certainly! And your weekend was one to remember, too. Haha. Someone got a new toy. Anxious to see how your ownership experience goes. Thanks Jason! Yeah it’s still looking decent for being of old age. Josh’s definitely steals the show, though. Reds are a dime a dozen. Those yellows are rare! Had a great time & hope to do many, many more! Same here! I noticed they haven’t opened up registration for NSXPO San Fran yet – should be any day now.